Are your students fluent in whole number operations? 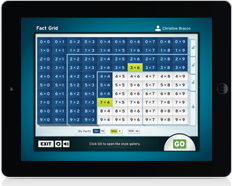 FASTT Math Next Generation’s engaging content and adaptive technology is based on decades of research and is proven to build fluency fast so students can focus on building more rigorous math skills. FASTT Math Next Generation’s adaptive software puts students on an individualized path to learning. The research-validated program continually adapts to students’ needs and enables them to develop math fluency and automaticity.